This trail through broad, sagebrush meadows takes you to the Black Canyon of the Yellowstone River. The beginning of the trail climbs up through the meadows, away from Blacktail Deer Creek. 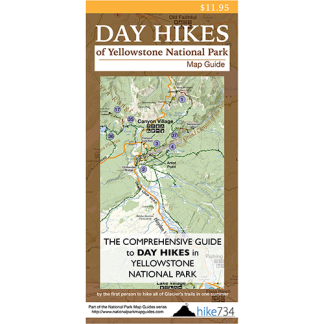 It roughly follows the creek that flows towards the Yellowstone River. Bison are frequently seen in these meadows. The trail eventually drops down to the creek among the willows, and follows it down to a little cascade through basalt formations. From here, the trail begins a steeper descent to the river. Backcountry cabins sit on the banks of the river near the confluence with Blacktail Deer Creek. The trail crosses over the river on a suspension bridge and continues through trees, then grassy meadows. Take a left at the junction with the Yellowstone River Trail. The trail travels around Crevice Lake perched just above the river, then drops down along a beautiful stretch of the river. A little footbridge takes you across Crevice Creek. You lose sight of the river as the trail then goes up a ridge. You steeply descend on the other side of the ridge, rejoining the river. The river exits a canyon in frothing fashion in a cascade known as Knowles Falls. This is a great place for lunch and to turn around. 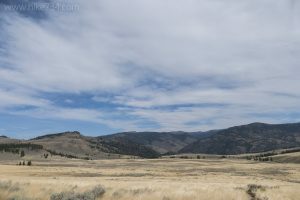 Trailhead: The signed trailhead, simply labeled “Blacktail”, is located on the Grand Loop Road, halfway between Mammoth Hot Springs and Tower-Roosevelt.